On Monday, March 25, 1968, at 7:30PM, the final episode of The Monkees aired over the NBC airwaves. When the television show about a rock ‘n’ roll band premiered on Sept. 12, 1966, no one could have guessed the phenomenon it would become. Over the 18 months that followed, the fictitious band became a real band, and their records not only topped the charts, but even outsold the Beatles. The formula had already begun to be mutilated as the second season began. Producers Bob Rafelson and Bert Schneider had started to poke holes in the Monkees’ facade and, in TV terminology, started to “break the fourth wall” – that being the one between viewer and cast – by making fun of certain aspects of the cliches of the show, and doing so within the show itself. 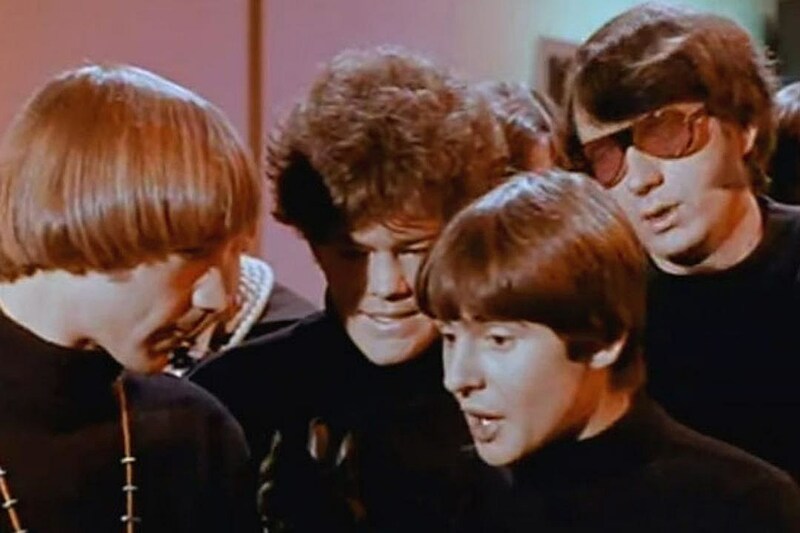 As the second season unfolded, the Monkees themselves became more involved directing episodes and giving more input into how the show looked and sounded. Hippie-esque clothing replaced the JC Penney garb as the spirit of 1967 was in full bloom, and various references to drugs, war, and the counter-culture in general were freely sprinkled throughout. In the next-to-last episode, Mike Nesmith brought in friend Frank Zappa for a guest appearance, and in the final episode, directed and co-written by Dolenz, all hell broke lose. As the story part of the episode ends, on walks the late singer-songwriter Tim Buckley to perform a solo acoustic version of his classic “Song to the Siren.” Buckley was a friend of Dolenz, who thought he should be introduced to the world. The beautiful song had, at the time, not been released. It remains one of Buckley’s finest moments. All of that would, of course, be of no matter when the series was canceled “by mutual consent,” he added. The show, of course, would live on for years to come. First in the form of Saturday morning re-runs, then famously in the ’80s when MTV began airing the show.